Happy July birthday to my niece Christina; nephews Drew and Justin; cousins Cynthia, David and Ernie Lynn; 3rd cousins once-removed Dave, Jim, Pat and Steve; 4th cousin John; 4th cousin once-removed Angel; and my Aunt Karen. My 2nd great-grandmother Maja Stina KARLSDOTTER was born in Börstil, Uppsala, Sweden 02 Jul 1839. Four of her six children immigrated to Chicago Illinois in the late 1880s and early 1890s. Maja’s father Carl ERSSON was born 14 Jul 1807, also in Börstil, Uppsala, Sweden. Notice the Swedish naming custom? Carl LARSSON CLARIN and Bengta JÖNSSDOTTER immigrated to Chicago Illinois, married, and had three daughters. My great-grandmother Esther Ingeborg CLARIN, born 07 Jul 1890, was the oldest. Esther’s youngest sister Mabelle Theresia CLARIN was born 09 Jul 1894. Esther and Mabelle’s grandfather, Lars PETERSSON was born in Fultofta, Malmohus, Sweden 21 Jul 1800. How did his son Carl acquire the surname Clarin, you ask? It was his military name. Morgan Edgar CLARKE, a 2nd great grand uncle who lived only two years, was born in Maryland 11 Jul 1873. Morgan’s sister Mary CLARKE was born 24 Jul 1869 in Funkstown, Washington, Maryland. After her husband’s death, Mary traveled abroad as a private nurse. A first-cousin thrice-removed Stella A CLARKE was born in Chicago, Cook, Illinois 28 Jul 1903. Stella married Paul Walter RUDOLPH and had at least four children. 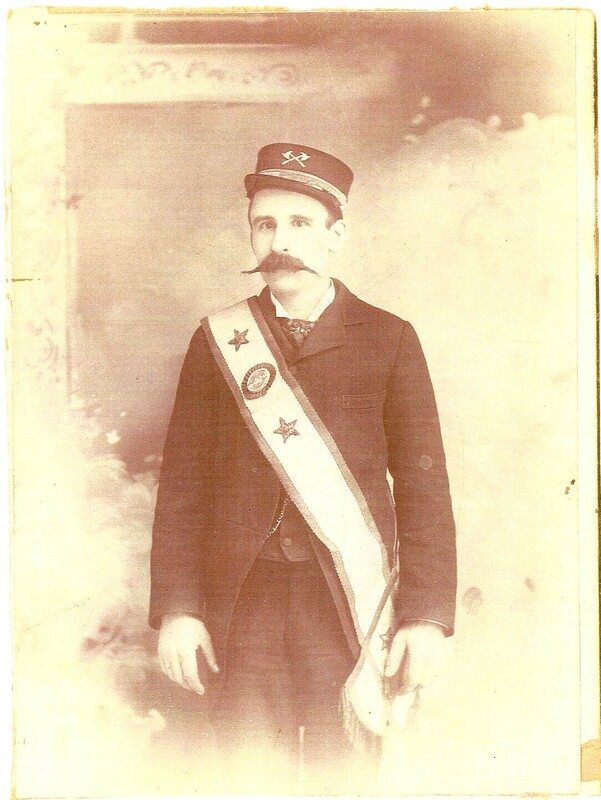 My 3rd great-grand uncle Joseph GURY was born 22 Jul 1830 in Léning, Moselle, Lorraine, France. He was the eighth of ten children. My 2nd great-grandfather Herman Friedrich Carl MANGELS was born 04 Jul 1845 in Schleswig-Holstein, Germany. As a young man, Herman immigrated to Chicago Illinois where he worked as a glass polisher. Herman’s granddaughter Alice Louise GILES was an avid genealogist. She was born 31 Jul 1913 in Chicago, Cook, Illinois and lived to the age of 90. First generation American Carl Jules Schmitt was born in Ohio (presumably Cincinnati) 17 Jul 1881. My first-cousin thrice-removed, Carl grew up in Chicago where he worked as a commercial artist. I’d like to think another first-cousin thrice-removed was named after her mother’s sister Elizabeth who was my 2nd great-grandmother. Nana Elizabeth PLUM was born in Chicago Illinois 21 Jul 1872. Nana’s husband George BORST was born in Illinois 26 Jul 1861. Nana’s brother Arthur Alvin PLUM was born in Chicago, Cook, Illinois 30 Jul 1888. My great-grand uncle Edward Arthur THOMPSON was a first generation American born 25 Jul 1895 in Chicago Illinois to a Norwegian father and Swedish mother. One of seven children, my 3rd great grand-uncle Jacob Wilhelm TOLF was born in Lindefors, Jönköping, Sweden 05 Jul 1826. Nearly all the Tolf men were blacksmiths. My grand uncle Oliver TOLF was born in Chicago Illinois 05 Jul 1915. Sadly, he took his own life at age 46. One of my first-cousins thrice-removed, Elizabeth Anne WALTON was born in Lonan, Isle of Man 10 Jul 1859. She was one of at least nine children. Another first-cousin thrice-removed, Harriet Emily WALTON was born 14 Jul 1867, also in Lonan on the Isle of Man. Yet another July born first-cousin thrice-removed (and Harriet’s brother) is Isaac Walter WALTON who was born in Lonan on the Isle of Man 23 Jul 1865. A first-generation American, my great grand uncle William WALTON was born 26 Jul 1876 in Cleveland, Cuyahoga, Ohio.